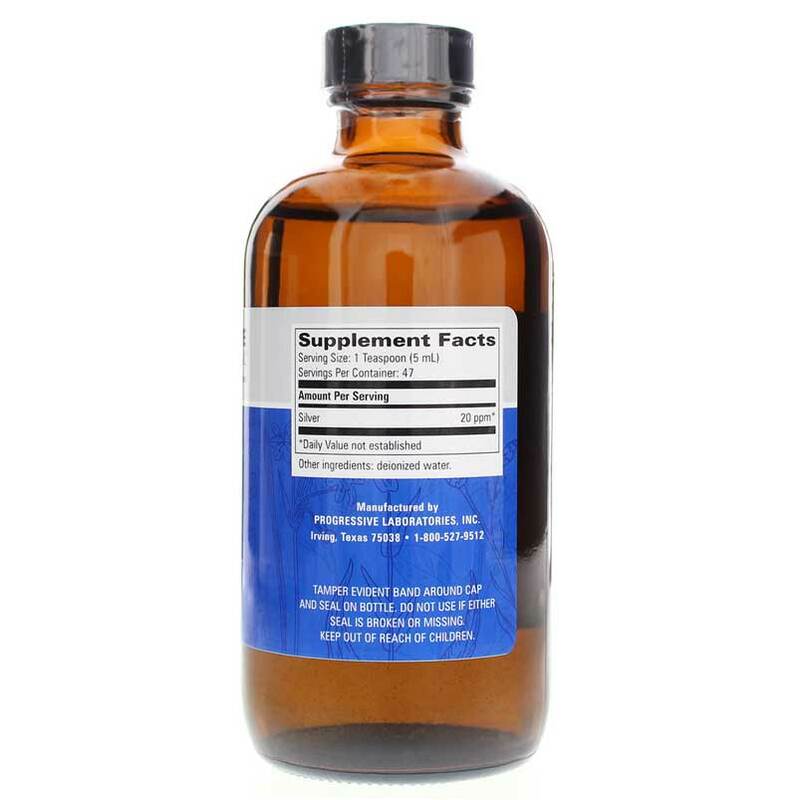 Progressive Labs' Colloidal Silver is an all-natural mineral supplement that is a great option for supporting your general health. Made of a 20 parts-per-million concentration, this product boasts a very high surface area of silver. 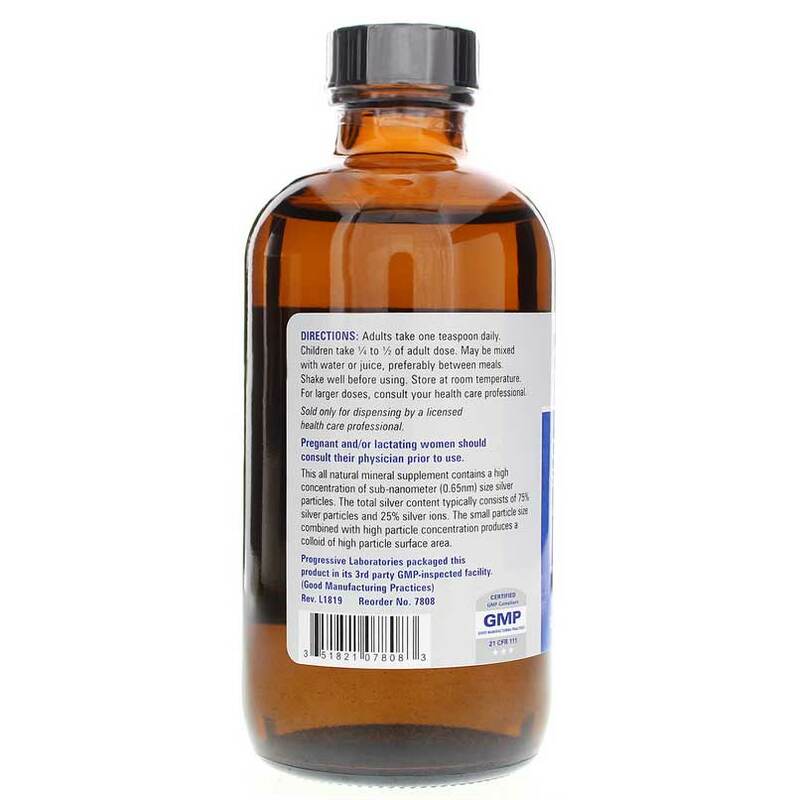 Colloidal Silver works to cleanse the body of germs by binding to proteins and destroying them. Take one teaspoon every day between meals. Take 1/4 to 1/2 of the dose indication for adults. Colloidal Silver can be mixed with juice or water for better palatability. Take another step in supporting optimal overall health for you and your family. 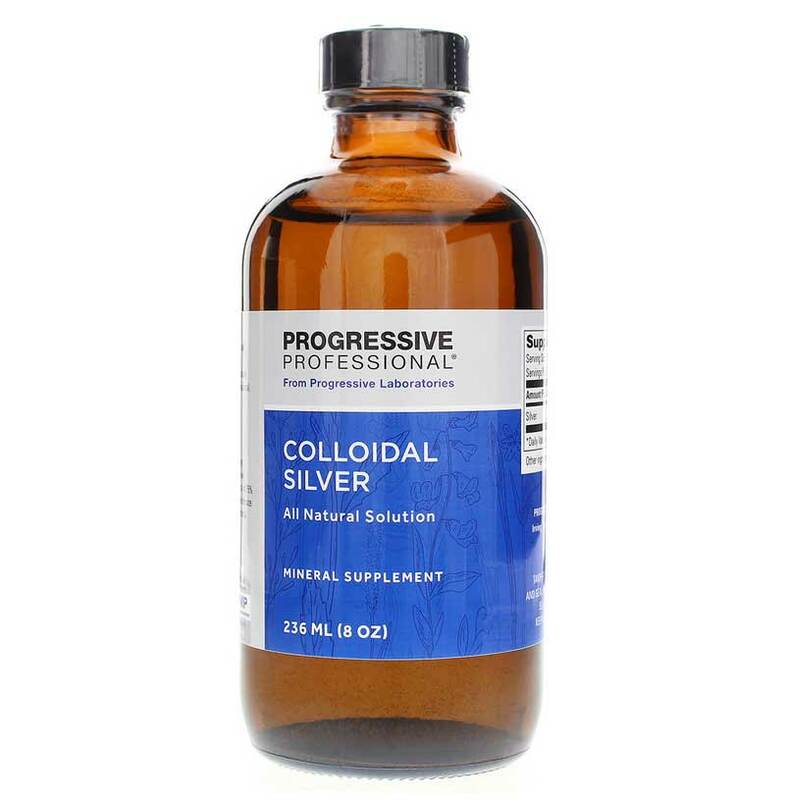 Give Colloidal Silver from Progressive Labs a try. Orders yours now! Adults: 1 teaspoon daily, preferably between meals. Children: 1/4 to 1/2 the adult dose. May be mixed with water or juice. Do not refrigerate.